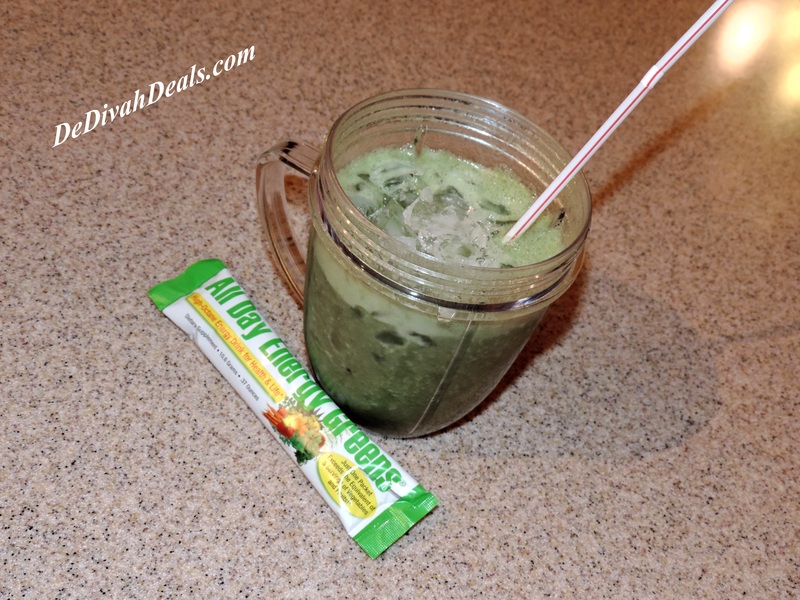 This is a sponsored post for All Day Energy Greens, an IVL Product. For more information please read my Disclosure Statement located in the top tab. As we get older our bodies starts to change, some changes are for the better others not so much. The metabolism slows down as well as the digestive track especially if you don’t eat the FDA’s Recommended Daily Amounts of fruits and vegetables. I love fruits and veggies and eat them everyday but I know it’s not nearly enough so I have to include vitamin supplements. When IVL Products partnered with Sverve I immediately signed up to be part of the campaign. 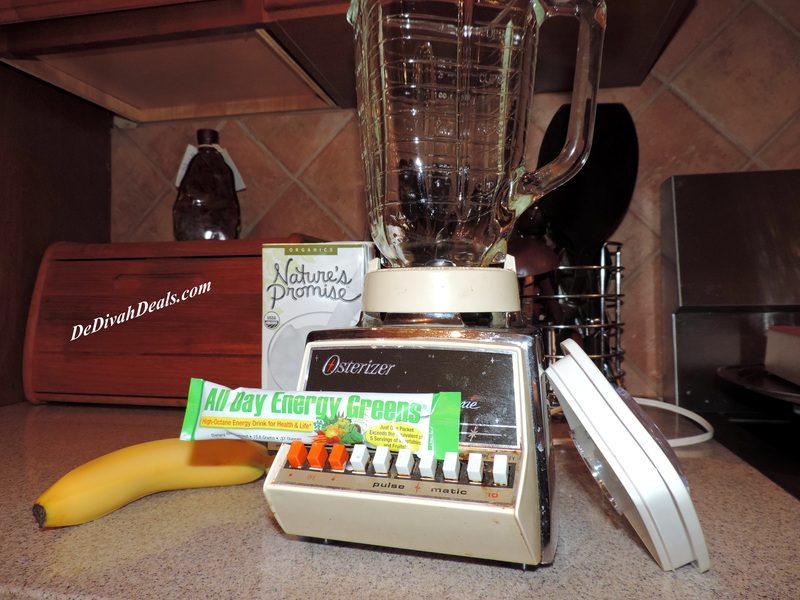 I knew that I needed to add more fruits and vegetables to my diet and this would be an excellent opportunity in which to do so with All Day Energy Greens. Using the 2 week supply as an add-in to my morning Green Shakes and Smoothies would give me the boost that I needed. I must admit that the taste wasn’t as pleasant as I would have liked and it made me a little gassy, but for what it’s worth, I was as regular as a new wound watch for 2 weeks! I also liked the convenience of the individual packs this little green drink comes in because when running late in the morning, I would just throw a pack into my purse and dash out the door. Once in the office I would use my shaker bottle or portable blender to mix it in with juice, water/ice or just with plain yogurt. 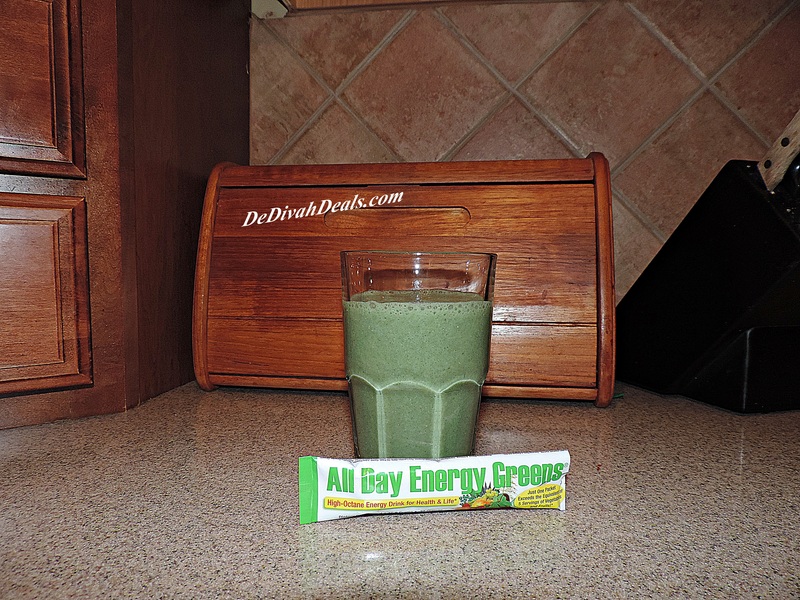 If you are like me and need to find a way to add more fruits and vegetables to your diet, try All Day Energy Greens – stay healthy!